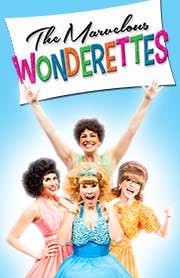 Take a trip down memory lane with The Marvelous Wonderettes - four girls with dreams and voices as big as their crinoline skirts! From prom night in 1958 to their ten year reunion these girls sing all your favorite hits from the 50’s and 60’s. “It’s My Party”, “Leader of the Pack”, “Mr. Sandman”, “Lollipop” and many more!